The city of Jerusalem is a clear symbol of the deep religious connection between the Jewish people and its land, for 3000 years, and along with Tel Aviv, both cities are also symbols of the Zionist vision and the renewal of the Jewish people in its land. The modernity of Tel Aviv with a historical taste of 3000 years-old Jaffa on one hand, and, on the other hand, the strict conservatism of Jerusalem with a taste of science and innovation enable a fascinating urban journey. I decided to express this journey through drawing: I went on forty foot tours with the purpose to capture and record the experience of the streets of Tel Aviv and Jerusalem with their buildings and the people living there, from a direct view. 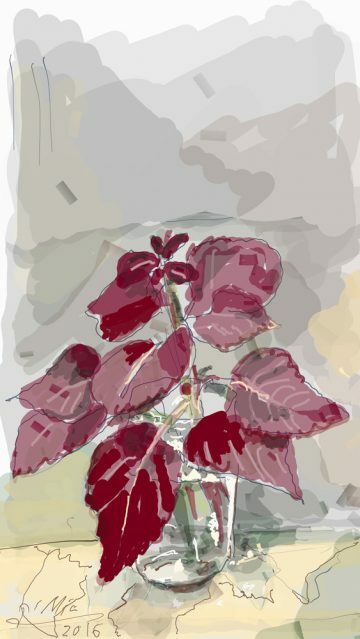 This book includes over 100 drawings that were created using a freehand drawing technique on smart phone screen without which such a comprehensive project could not have been achieved. I hope that I have been able to share with the readers the deep emotional and visual experience that I had in my tours. This website and the book is dedicated to my beloved son-in-law, Erez Flekser, a Cobra fighter pilot who fell in operational training on March 12 2013 at the age of only 31. Erez is a father, a scientist and a pilot, and he trekked around the whole country. The book is also dedicated to Lt. Colonel Noam Ron, Erez partner in their last flight. The book is also dedicated to my dear parents, Frida and Anatol Slatkine, as well as to my grandparents, Abba and Sarah Ne’eman, among the founders of Tel Aviv. 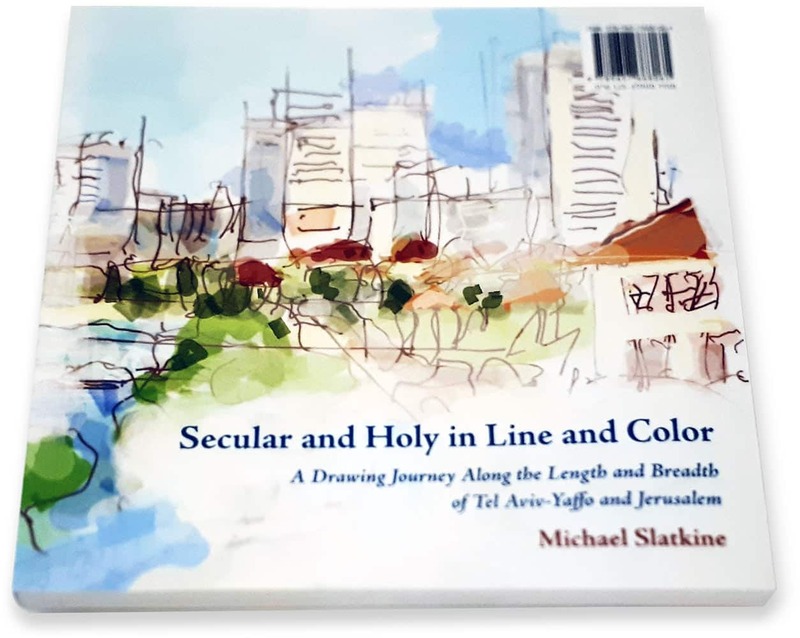 Michael Slatkine’s book presents a rich and colorful urban mosaic of the first modern Hebrew city, Tel Aviv-(Jaffa), and of the ancient Hebrew city of Jerusalem. Michael takes us to a journey between those two cities, in streets and lanes, in markets, commercial centers and coffee shops, in the holy sites of Jerusalem and along the sea shore and the harbors of Tel Aviv-Jaffa. The combination of both cities in one book sharpens and intensifies the different human experience and texture of Tel Aviv and Jerusalem, but they both interconnect and continue their long-standing dialogue through Slatkine’s unique technique, digital illustration on the smart phone screen. Michael’s wandering through the urban space passes through the Bauhaus buildings of Tel Aviv and the churches of Jerusalem, the shopping stands of the Mahane Yehuda Market and the antique shops in the flea market, in Jaffa Street in Jerusalem and in Rothschild Boulevard in Tel Aviv, in Nahalat Shiva and Neve Tzedek, in the Shrine of the Book and in Habima plaza, in Mea She’arim and in Florentin, in the quarters of the Old City of Jerusalem and on the shores of Tel Aviv. His glance rests on the local residents as part of the urban landscape and on their personal and private moments with a cup of coffee and a Sudoku puzzle. The emblematic buildings and sites of the two cities and their people are treated and presented in its illustrations in a unique and fresh way, both intimate and lively. The games of light and shadow, the combination of soft and bright pastels with vivid and strong colors, and the movement between realism and symbolism in his illustrations reinforce the sensation of depth and vitality of urban moments, creating a feeling that we are there, with him. His works are both complex and simple, fast and precise, quick but detailed, schematic and deep. The free pen strokes on the phone’s screen and the thin lines provide his illustration with a light, airy look. Thus, for instance, Yigal Tumarkin’s Monument to the Holocaust and Revival in Rabin Square looks weightless and seems to float in the air despite its size and the fact that in reality, it is a metal cast. Michael’s unique technique and language deepen the special connection between Tel Aviv and Jerusalem and create a bridge between them, to the point that they sometimes seem to be one city. Tel Aviv is 100 years old, Jaffa is above 3000 years old, and their stories could fill a whole library. In 1909, Hebrew families, including my grandparents Abba and Sarah Ne’eman and their family, left Jaffa and were among the founders of the “Ahuzat Bayit” neighborhood outside of Jaffa. On the day of lottery for plot allocation in the dunes of “Ahuzat Bayit”, the chairman of the committee, Akiva Aryeh Weiss, gave a lecture and noted that the founders of “Ahuzat Bayit” hoped that Tel Aviv would look like New York. And indeed, 100 years later, Tel Aviv is vibrant and colorful and culturally flourishing, almost like New York. Jerusalem amazes me with its people, its spirituality and its aesthetics. I have lived there in the 1960s as a child and later as a student. For over thirty years, I have toured the whole city hundreds of times while watching and learning, and this is how my profound and loving emotional connection for the city, its place in the culture of the Israeli nation and the culture of the nations has deepened. Jerusalem has its own unique colors: the color of the Jerusalem building stone and its rigid texture fill the background in gray and the colors of the cypress and pine trees add a dark green touch. The churches, mosques, and synagogues do not leave any freedom to debate what you see, but above all, since 1967 a modern architectural layer has been built, giving the city its unique beauty. The old meets the new, and both empower each other. Its multifaceted human landscape is also inspiring. Jerusalem attracts young men and women of all faiths and from all over the world, and the cafés crowded with them create a joyful, lightful and colorful feeling. The colorful beauty of Jerusalem provides an opportunity to express a multifaceted complexity.